Konkona Sen Sharma bob - December 3, 1979, daughter of Bengali film actress and director, Aparna Sen.
She also has an older sibling Kamalini Chatterjee. Konkona's maternal grandfather, Chidananda Dasgupta, is a film critic, scholar, professor, writer and one of the co-founders of the Calcutta Film Society. Her grandmother Supriya Dasgupta is a cousin of legendary modern Bengali poet Jibanananda Das. She has been lucky with the kind of roles that she has etched in both Bengali and Hindi cinema which have catapulted her to success. She won two National awards for best actress (Mr & Mrs Iyer) and best supporting actress for Omkara. she also has two Filmfare awards for best supporting actress (for Omkara and Life In A… Metro). Then, there are the awards that she has won from the Bengali Films Journalists Association for Ek Je Aachhe Kanya and 15 Park Avenue, besides winning the Mahindra Indo American Arts Council (MIAAC) Film Festival award in 2007 for best actress for Dosar. 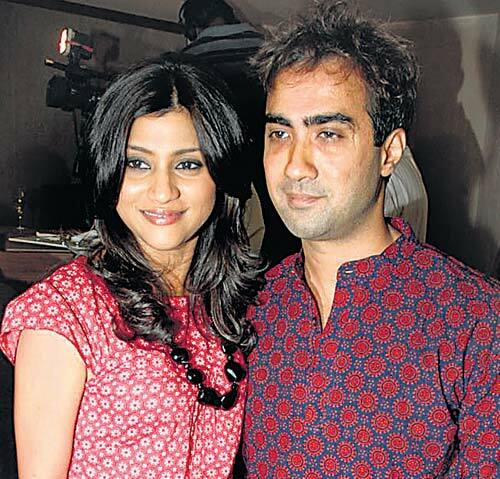 Konkona Sen Sharma and Ranvir Shorey got married on September 3 this year at Konkona's Goregaon residence, only close friends of the family were invited.